It’s an affordable way to own your own home. 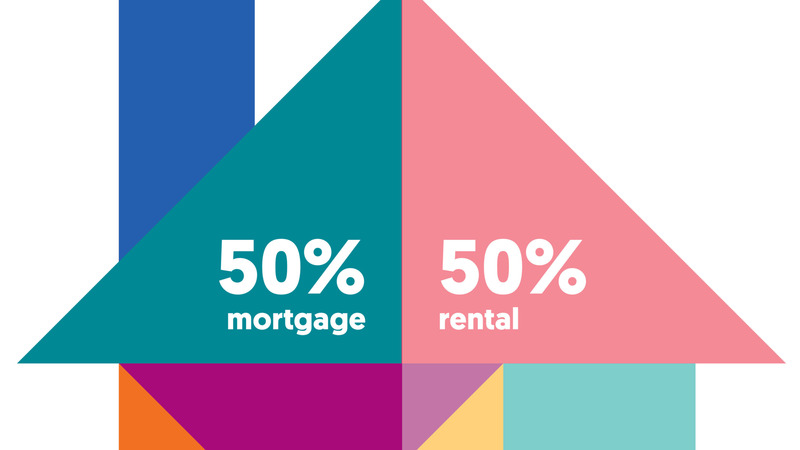 Buying a shared ownership home means you buy a % of the home and rent the remaining % from us. This typically means you need a smaller deposit and smaller mortgage. The percentage share we expect you to buy is based on what it seems you can afford. We’ll work this out with you. It’s established. Shared ownership has been helping people for over 35 years. It is backed by the UK Government and supported by a wide range of mortgage lenders. Its flexible home ownership.You can buy between 25% and 75% of the home, with the option to buy more ‘shares’ (%) of the home at any time, until you get to 100%. The bigger the share you own, the less rent you pay. Who owns the rest of the home? *Buildings insurance will also be payable. In some instances there may be an additional service charge for items like maintaining the open space on the development. Costs quoted are an estimate. Your rent and mortgage offer may differ. Lots of banks and building societies provide shared ownership mortgages. We can’t offer specific mortgage advice, but we can put you contact with organisations that can. Like with all mortgages, deposits and interest rates will vary between lenders. Remember though you’ll only need a deposit related to the percentage share of the home you want to buy. All Shared Ownership homes have to initially be sold via a shared ownership lease. If we own the freehold and you buy 100% of the home we’ll transfer the freehold to you at that point. As a shared owner you are responsible for the repair and upkeep of your home, just like any other home owner. 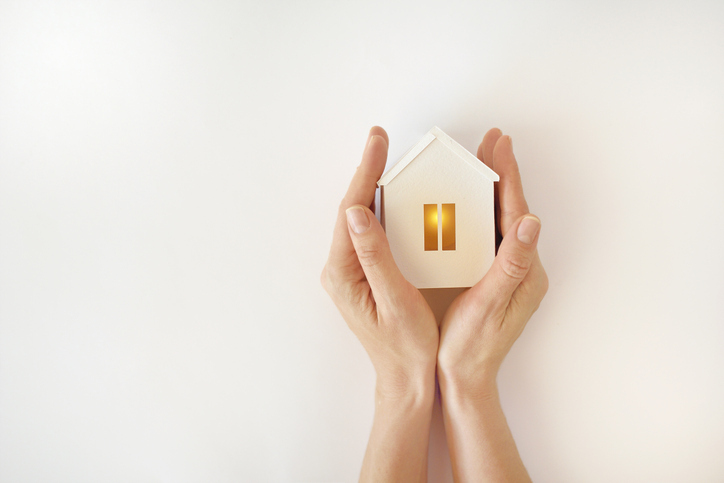 If you’ve bought a new home from us you will benefit from a 10-year new home warranty, giving you peace of mind. When it’s time to move on, talk to us, if we know someone who may want to buy your shared ownership home then we will let you know. If not, you can then market your home yourself or through an estate agent. You will sell your share at a price based on the market value at the time. Rents will vary depending on the amount you own. Rent is calculated at 2.75% a year of the value of the share you don’t own at the time you buy. This means if you ever want to purchase 100% you won’t pay rent any more. Unlike the unpredictability of renting privately, shared ownership rents will only increase at inflation +0.5% each year. Whether you’re a first-time buyer living with your parents, a tenant tired of renting while struggling to save for a deposit, or a former home owner who has sold/is selling their home, or you’ve had a change in circumstance such as divorce… shared ownership could be for you. In fact anyone can buy a shared ownership home* *All purchasers must meet affordability criteria assessments. 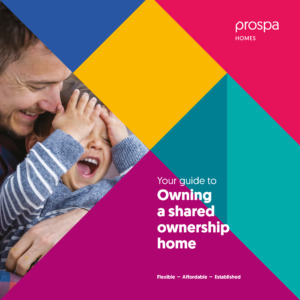 Generally shared ownership is available to lots of people wanting a home of their own. You won’t be eligible if you earn more than £80,000 a year; can’t demonstrate you can afford to sustain monthly payments; you intend to let the property out or will continue to own another home. Sometimes but not always, we will need to prioritise local people. Please obtain independent legal and financial advice before purchasing. If you don’t keep up rent and/or mortgage payments you may lose your home.